I like this actor very much, because I've seen him act before, he's funny and good at the same time. Kaneko Noboru is also a very good looking guy and very wise when picking clothing and hair styles to match him perfectly. He's play Ooku Dai Ishou neh? as Naharai.. a Christiani Flute... is him? 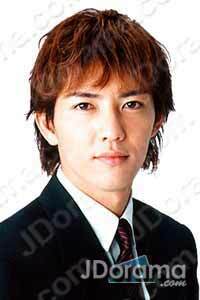 He is a younger version of Fujiki Naohito so charming!